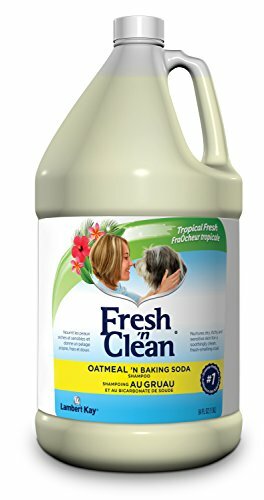 Fresh 'n Clean Oatmeal 'n Baking Soda Shampoo, 64 oz., soothes dry, itchy skin with oatmeal, vitamin E and aloe. Leaves dog smelling clean for up to 2 weeks. If you have any questions about this product by Fresh N Clean, contact us by completing and submitting the form below. If you are looking for a specif part number, please include it with your message.